Hi all you fabulous Ucreate readers!! Words can not express how excited I am to be a guest here today. I’m such a huge fan of Ucreate. This is truly a blogging dream come true for me! My name is Kara and I blog over at Happy Go Lucky. I’m a 6th grade reading teacher, Navy wife and mother to a very spunky 3 year old. I started my blog a few months ago to help pass the time while my husband was working nights. I love sharing easy and inexpensive craft ideas, DIY projects and activities the entire family can enjoy. 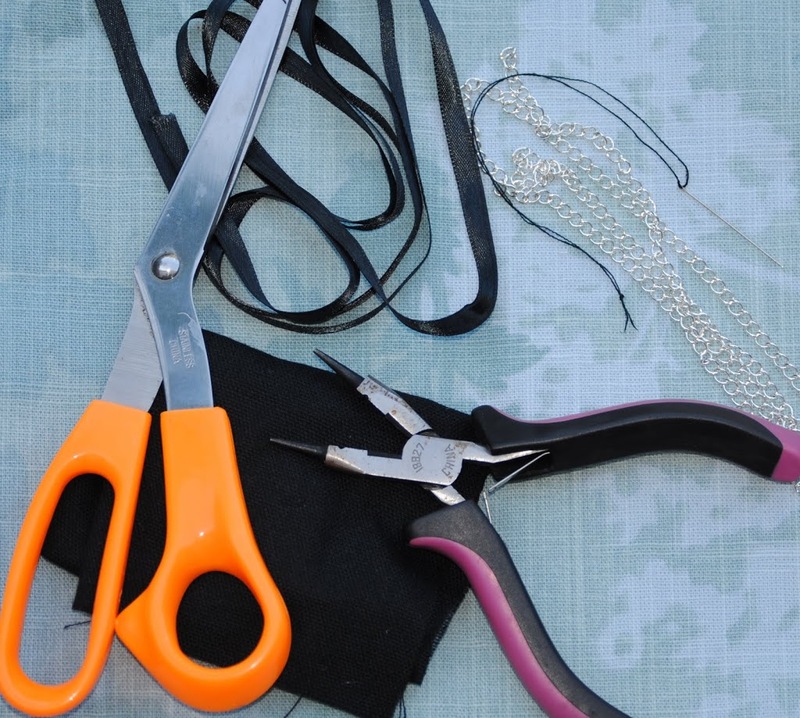 Today we are going to make this fun and easy necklace! Doesn’t that look easy? I’m going to be honest, the hardest part about this necklace is deciding which fabric flower to add. The first thing you need to do is decide how long you want your necklace to be. It needs to be long enough to slide over your head. 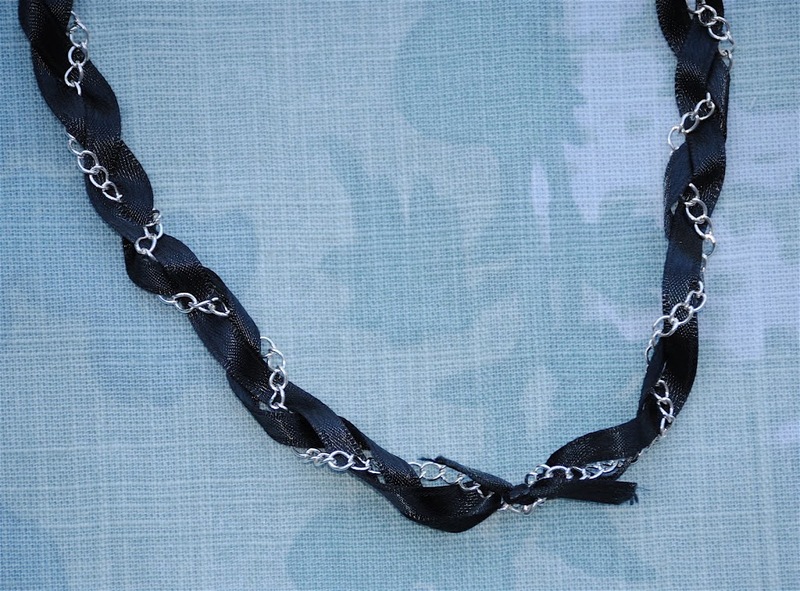 I made my finished necklace 30 inches so I used chain that was 32 inches and cut the ribbon around 64 inches. You can make it any length you want it to be, just remember the braid causes the finished necklace to be shorter than what you start with. 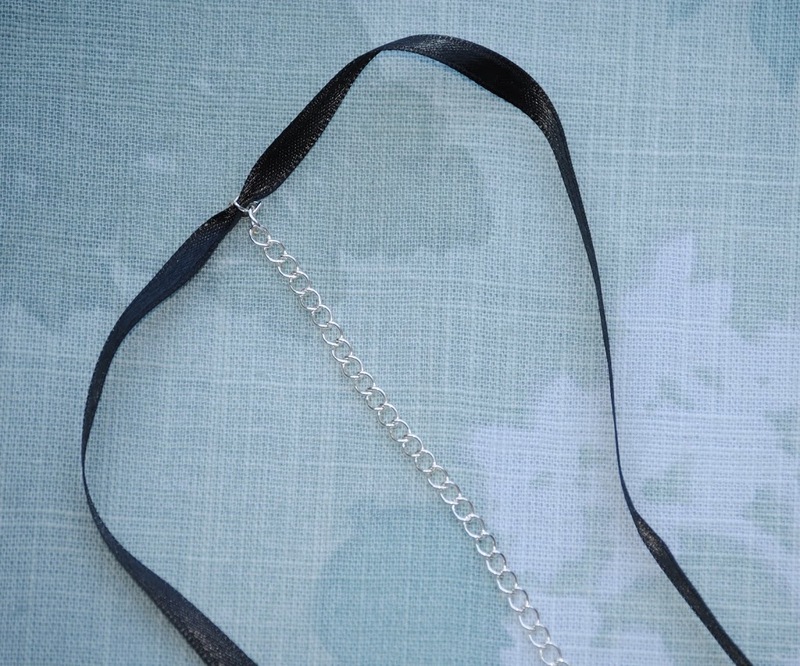 To start making your necklace, pull one end of the ribbon through the first link of your chain. Keep pulling until you have an equal amount of ribbon on each side of the chain. Now that you have your three strings, you are ready to start braiding. You can make it as tight or loose as you want. Keep braiding until you get to the end of the chain. 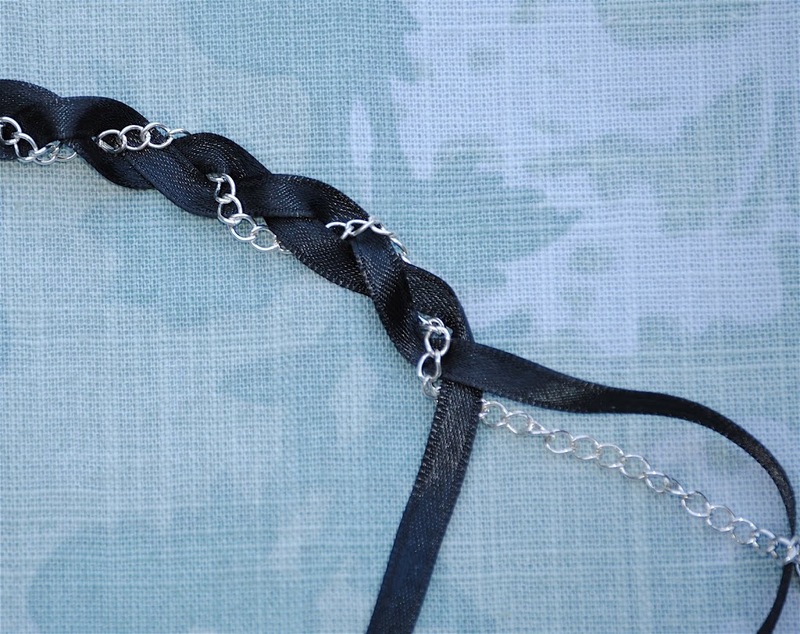 Once you come to the end of the chain, thread one piece of ribbon through the last link and tie the two ends of the ribbon to form a tight knot. This will keep the braid from coming undone. Don’t worry if it doesn’t look perfect. We will cover it up with the fabric flower. Use the pliers to attach each end of the chain together. And our necklace is finished! Now we are ready to add the fabric flower. This is the hard part because there are so many great ways to make fabric flowers. I made this flower by cutting12 circles from a lightweight rayon fabric. I stacked all but 5 of the circles on top of one another a little off center. Then I took the last 5 circles, folded each one in half twice and layered those on top of the flat circles. I used my needle and thread to stitch it all together. Twist the folded circles around, fluff it up, and you have a great looking fabric flower! Using the same needle and thread, attach the flower to the ribbon where the two ends were tied together. Finally, show off your fabulous new necklace that you made and enjoy all the compliments you get!! So easy that you will have time to make one for yourself and to give as a fabulous gift. You can make them in different colors, use various widths of ribbon and fun, funky fabric flowers. I think a pretty fabric rosette would be really pretty. The possibilities are endless. I hope you have fun making your own Braided Ribbon and Chain Necklace with your favorite fabric flower. I would love for you to come visit Happy Go Lucky and say “Hi!” I would also be thrilled to see any necklaces you make inspired by this tutorial. Thank you Kari for having me!! It is such an honor to be on Ucreate today!! I LOVE this necklace!!! I am going to go to the store tonight to get supplies!! I’d love to make this necklace!! 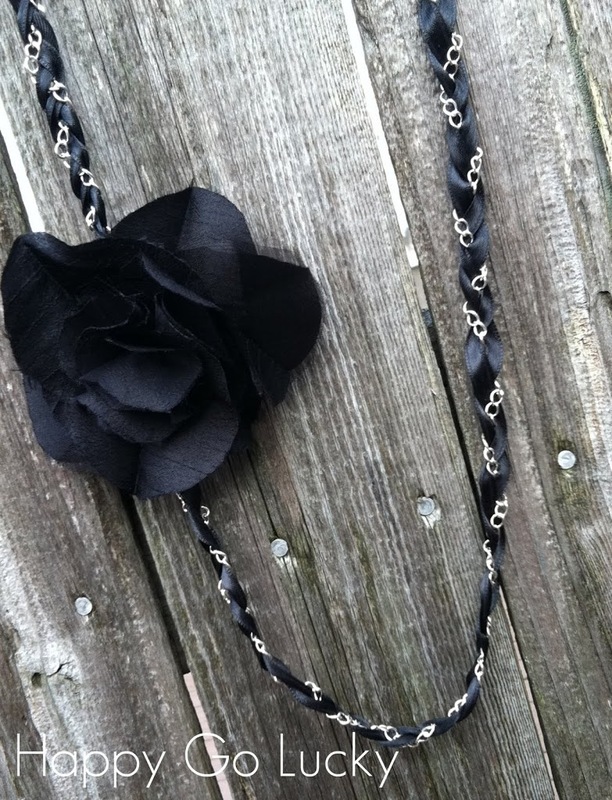 I’m thinking a pink flower on the black chain. Very sweet, and easy! Yay! Look how sweet and simple that is! My daughter has one of those t-shirts with the necklace attached to the front. When I bought it I knew the necklace had a verrrrrry short shelf life. It did – 2 wears and the necklace was already broken. This is a genius way to make her another necklace that’s a lot sturdier but still just as cute! Thanks for the idea!! 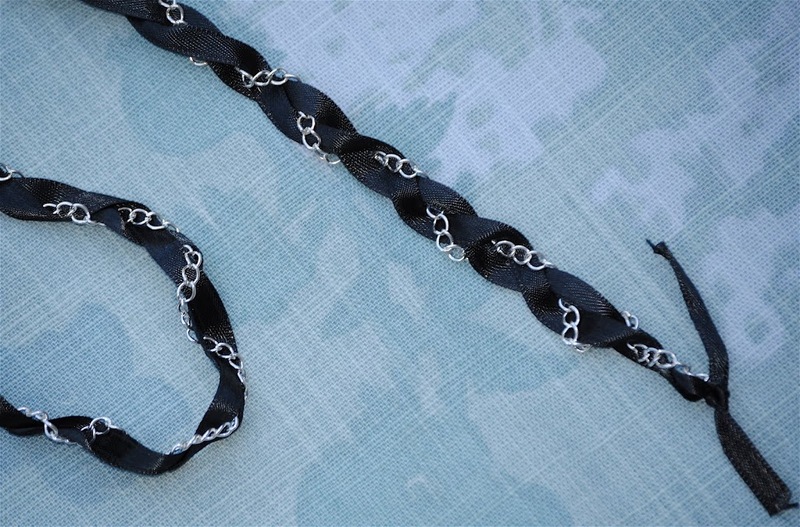 Great tutorial – I see a necklace like this in my future! Awesome necklace Kara! Love it and sweet to be featured on U-create!